Usage of the equipment: The removal offal overhead conveying line will pass the equipment. 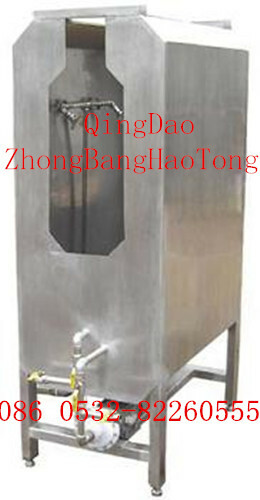 It is used to wash removed offal carcass to prevent the blood、feather and offal waste into the cold water. Main structure and character It is consisted of out frame and spraying heads. The out frame is stainless steel and the moderate spraying heads cover big area to wash completely. Pay attention to control the water volume to make sure spraying heads to spray the water over the carcass. Attention ： Regularly check the spraying heads if block or not. ZBHT Slaughtering Machinery Co.,Ltd. manufacturing high-quality Poultry carcass washing machine and supply OEM, ODM service according to your personal requirement. Our Poultry carcass washing machine and other Poultry Slaughtering Equipment is not only good in quality but also competitive in price, welcome to inquiry us about the details of Poultry carcass washing machine or other slaughtering machine products and accessory equipment.